Category: Folder Design, Mayo, Ireland. The Park Hotel, a local hotel in Kiltimagh, County Mayo approached Designwest to develop a custom folder design. This design features metallic ink which gives the finished product a nice effect. 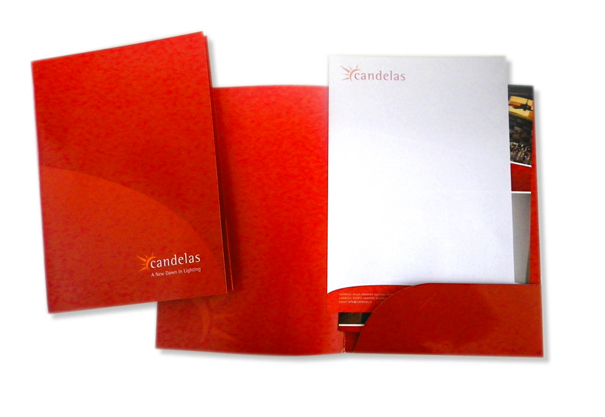 The design for this client was created by our qualified graphic designer and is a good example of a clean, professional, effective folder design which exceeded the clients expectations. Category: Logo/Brand Identity Design, Business Stationery Design & Marketing Literature Design, Co. Mayo & Co. Dublin, Ireland. 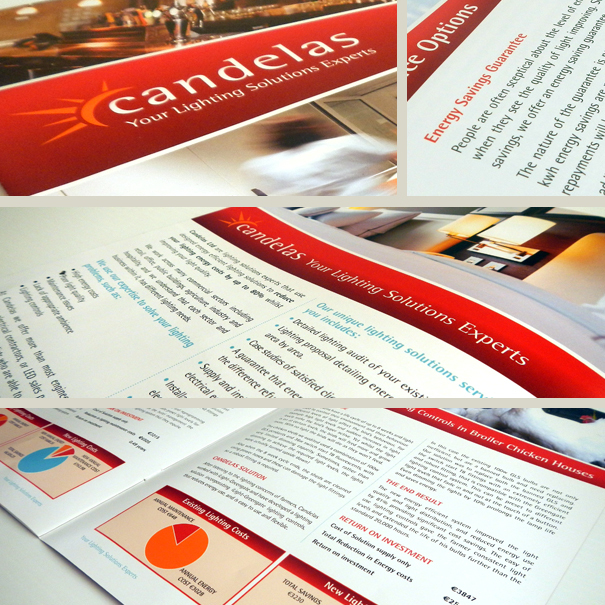 Candelas is an innovative, low energy lighting company based in Dublin and more recently Kiltimagh, Co. Mayo. The company’s purpose is to change the way we use lighting on both the residential and commercial platforms, across Ireland and worldwide. Designwest were tasked by the client to create an impactful and meaningful identity logo design that would stand on a worldwide platform. The result is a very striking logo design and branding design that really shines and one that has already received many compliments and notice for the client. The logo design was then applied to a suite of letterhead design, compliment slip and business card designs along with a business brochure design.